The book has information about on board equipment and its location. Emergency exits and evacuation facilities of Boeing 737 and Airbus A-319\ 320 are described. Rules of opening\ closing doors. Use of oxygen equipment, smoke detectors, firefighting facilities, emergency communication, preparation for landing and evacuation are also available. The book has about 400 color pictures and allows training of crew members of aircraft having similar equipment. 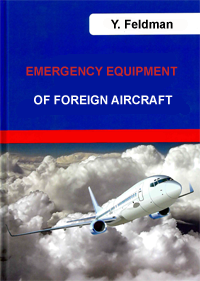 State commission on certification approved this book for use in civil aviation. L. Kulkova The book is used for training on initial and refreshing courses. Dangerous goods transportation is a very important part of cabin and flight crews training. Professional terminology and documents are for learning. 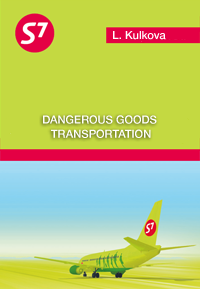 Different types of dangerous goods are described in the book. Separate chapters are devoted to packing and markings. Special attention is paid to incidents taking place on ground and in the air. I. Kovtun It is for crews making flights over water. This type of training is provided according to the documents of civil aviation. 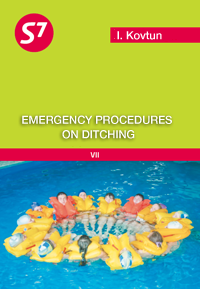 Ditching procedures is a system of knowledge and skills necessary in case of emergency landing on water. Great attention is paid to survival in oceans. A. Nazarenko The handbook contains the main information about aviation security within initial preparation and advanced training of aviation personnel, including all complex of problems and measures of providing an aviation safety. Particularly this handbook covers theoretical basics of providing aviation safety, condition of aviation security in the Russian Federation. Readers are invited to information about the main international documents regulating aviation security, as well as the legal framework of aviation security in the Russian Federation. 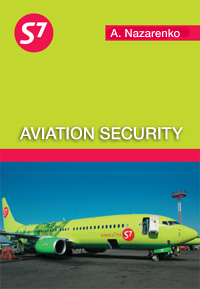 The handbook covers the main issues of the organization of the security service in the airline. A separate chapter is devoted to the problems of airport security and airline. The author pays particular attention to terrorism in aviation. The manual considers the problem of providing aircraft safety on the ground and in flight, as well as airline personnel actions in emergency situations. The purpose of this handbook is to systematize and present modern theoretical and practical concepts, as well as the experience of foreign countries, problems and prospects of aviation security. M. Alekseenko The manual outlines the basics of flight safety psychology, human factor theory applied to the specifics of operating highly automated aircraft and crew resource management techniques. 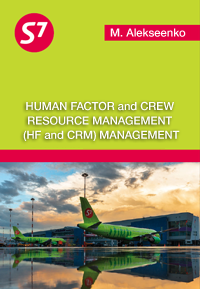 Training handbook is intended for teachers in Aviation Training Centers, instructors and psychologists involved in the initial training of flight crews on HF and CRM courses, for trainees, as well as for pilots in order to expand professional horizons and self-improvement. D. Bakin This manual is for cabin crew of initial training, retraining, recurrent courses to perform flights on the aircraft Boeing 737-300 / 400/500 (further on 737). 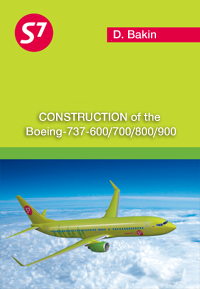 The manual covers the construction features of the Boeing- 737 (typical layout and equipment), a general description of the Boeing 737 aircraft, its size and equipment of the passenger cabin, flight attendant panels, lighting systems, communication, toilets, kitchens, doors, stairs and emergency outputs. One of the objectives for flight attendants is a good knowledge of the structure of the aircraft and, if necessary, the ability to apply their knowledge and skills in emergency situations related to the operation of Boeing 737 aircraft. Flight attendant must know the aircraft structure to operate systems and equipment effectively in flight. A.Cherepanov, R.Kartushin The training manual contains a basic professional course for the retraining of personnel of airlines and airports to perform ground handling of aircraft A-319/320/321 (A-320 FAMILY), further A-320F, in transit airports. The manual is intended for aviation personnel who will perform aircraft maintenance in transit airports and covers the whole range of problems and measures for ground handling services of A320F in transit airports. In particular, the book discusses such issues as accepting and releasing of aircraft, parking provision, aircraft external inspection, aircraft towing, evacuation of aircraft after accidents. Special attention is paid to issues of connection and disconnection of the ground electrical source, and ground conditioning. The author of the manual also describes aircraft refueling and defueling. One of the paragraphs is devoted to the elimination and prevention of icing. Readers are provided with information about signals, phraseology and radiotelephony. Pilots are provided with information on hydrotanks filling and oil refill of engines. The logic of presentation corresponds to the program of retraining of personnel of airlines and airports to perform ground handling of aircraft A-320F in transit airports. 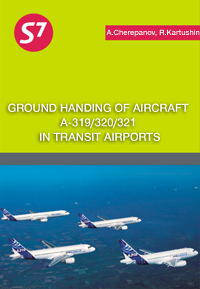 The purpose of this manual is systematization and presentation on the basis of modern theoretical and practical ideas about ground handling of aircraft A-320F in transit airports. 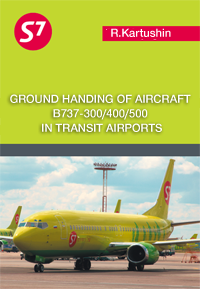 R.Kartushin The training manual contains a basic professional course for the retraining of personnel of airlines and airports to perform ground handling of aircraft B-737-300/400/500 in transit airports. The manual is intended for aviation personnel who will perform aircraft maintenance in transit airports and covers the whole range of problems and measures for ground handling services of B-737-300/400/500 in transit airports. In particular, the book discusses such issues as accepting and releasing of aircraft, parking provision, aircraft external inspection, aircraft towing, evacuation of aircraft after accidents. Special attention is paid to issues of connection and disconnection of the ground electrical source, and ground conditioning. The author of the manual also describes aircraft refueling and defueling. One of the paragraphs is devoted to the elimination and prevention of icing. Readers are provided with information about signals, phraseology and radiotelephony. Pilots are provided with information on hydrotanks filling and oil refill of engines. The logic of presentation corresponds to the program of retraining of personnel of airlines and airports to perform ground handling of aircraft B-737-300/400/500 in transit airports. The purpose of this manual is systematization and presentation on the basis of modern theoretical and practical ideas about ground handling of aircraft B-737-300/400/500 in transit airports. 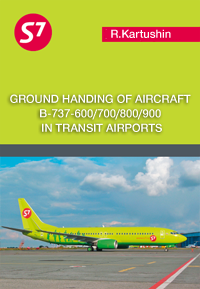 R.Kartushin The training manual contains a basic professional course for the retraining of personnel of airlines and airports to perform ground handling of aircraft B-737-600/700/800/900 in transit airports. The manual is intended for aviation personnel who will perform aircraft maintenance in transit airports and covers the whole range of problems and measures for ground handling services of B-737-600/700/800/900 in transit airports. In particular, the book discusses such issues as accepting and releasing of aircraft, parking provision, aircraft external inspection, aircraft towing, evacuation of aircraft after accidents. Special attention is paid to issues of connection and disconnection of the ground electrical source, and ground conditioning. The author of the manual also describes aircraft refueling and defueling. One of the paragraphs is devoted to the elimination and prevention of icing. Readers are provided with information about signals, phraseology and radiotelephony. Pilots are provided with information on hydrotanks filling and oil refill of engines. The logic of presentation corresponds to the program of retraining of personnel of airlines and airports to perform ground handling of aircraft B-737-600/700/800/900 in transit airports. The purpose of this manual is systematization and presentation on the basis of modern theoretical and practical ideas about ground handling of aircraft B-737-600/700/800/900 in transit airports. 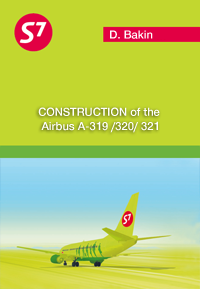 D. Bakin This manual is for studying the discipline “The construction of the Airbus A-319 /320/ 321” in the initial training, retraining, recurrent courses for flight attendants on the aircraft A-319 /320/ 321. 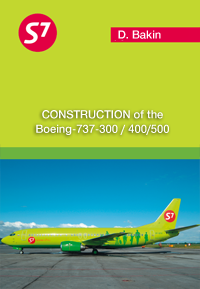 In this handbook the basic aircraft is the aircraft A-320, because it is a typical representative of aircraft line A-319 /320/ 321 .The manual discusses the construction features of the A-319 /320/ 321 (a typical layout and equipment), a general description of the aircraft A-319 /320/ 321, size and equipment of the passenger cabin, panels, cabin crew, the lighting of the passenger cabin, communication systems, toilet rooms, counters, doors, stairways and emergency exits. Aircraft systems have constructive design, convenient location and construction of panels, hatches and doors allowing easy maintenance. Flight attendant must know the aircraft structure, and, in case of any unforeseen situations (air pockets, storm) be able to explain the cause of shaking to passengers, to reassure them. One of the objectives for flight attendants is knowledge of aircraft structure and application of this knowledge and skills in emergency situations.